Hosted by two-time Grammy Award winning hip hop icon, and actor LL Cool J, Lip Sync Battle is based on the contemporary craze of lip sync battling to an original track. The show is co-hosted by social media maven and supermodel Chrissy Teigen. The series features celebrities going head to head – lip-syncing to the song of their choice, all while battling for the bragging rights. 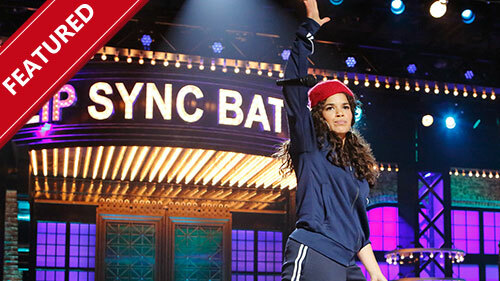 In the first episode of the season, actresses America Ferrera (Ugly Betty) and Amber Tamblyn (Joan of Arcadia) do battle with songs by Missy Elliott, Miami Sound Machine, Alanis Morissette and Color Me Badd. In this one-hour comedic special, Kevin Hart plays himself while discussing the fascinating contributions of lesser known individuals from Black history through the lens of various educational reenactments. Tiffany Haddish, Lil Rel Howery and others join in to help tell the stories of these lesser-known Black history icons. The quest to find Mzansi's next Idol begins when Season 14 premieres, promising drama, fashion, tears, triumphs and unforgettable moments. The show retains ProVerb as host this season, accompanied by returning judges Unathi, Somizi and Randall Abrahams. This season kicked off the auditions phase in Kwazulu-Natal at North Beach Amphitheatre in Durban. Musa Sukwene, the Season 9 winner, filled a seat on the panel as a guest judge. Emilia Fox, Richard Lintern, David Caves and Liz Carr return as the dynamic Lyell unit, for five new topical, thrilling two-part contemporary stories set against the familiar landscapes of London. In the Season 22 premiere: when a trans man is murdered and a trans activist is kidnapped, the cases are deemed to be linked. But when the DCI releases a suspect prematurely and incriminating evidence comes to light, he tries to blame the Lyell for the oversight. Thomas bears the brunt of the pressure as he volunteers to take the fall - and focuses the team on the search for the perpetrator. Seven famous faces take time away from everyday life and their home comforts to live as modern-day pilgrims as they set out on the famous medieval pilgrimage, the Camino de Santiago. 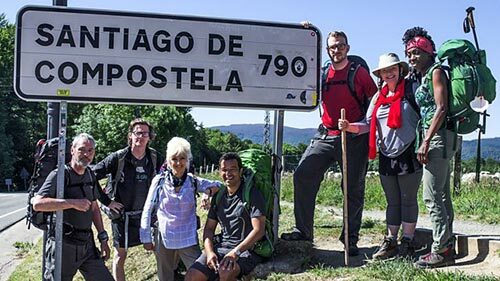 The team have just over two weeks to tackle the ancient path, with the likes of singer Heather Small, comedian Ed Byrne and priest Kate Bottley hiking through France and Northern Spain. The group is made up of a variety and faiths and beliefs, but will this journey of a lifetime living as pilgrims change the way they think about themselves and their faith? A reimagining of the Norman Lear classic, centering on a Cuban-American family. The heroine is a recently separated, former military mom (Justina Machado) navigating a new single life while raising her radical teenaged daughter and socially adept tween son. This is done with the "help" of her old school Cuban-born mom (Rita Moreno) and a friends-without-benefits building manager named Schneider.